Goodwin Performance and DooTalk.com are partnering again to compete in the ISOC National Snocross Series and ESPN Winter XGames for the 2015-16 season. This continues a unique four-year relationship between the two entities. Garrett is coming off an ESPN Winter X Games gold medal win last season, his third medal in three years. He has his focus set on defending his X Games gold in 2016 in Aspen, Col. With Goodwin Performance and DooTalk again joining forces, the team has great continuity and high expectations to succeed this year. DooTalk.com has been one the snowmobile industry’s leading enthusiast websites since its inception in 2002, addressing all things Ski-Doo snowmobile related. DooTalk.com’s member-sponsored racing program is the only forum-based snowmobile racing program in the industry, where site members (over 100,000) purchase laps to support the race team (click here to buy laps). At the end of the season, one of the team’s race sleds will be given away in a drawing to a supporting DooTalk member. Goodwin Performance is a world class manufacturer of high performance parts for snowmobiles, ATVs and side by side vehicles, specializing in CVT (constantly variable transmission) kits and suspension tuning. The company has over 20 years of experience in development of those products with their employees all being hands on riders and technicians. 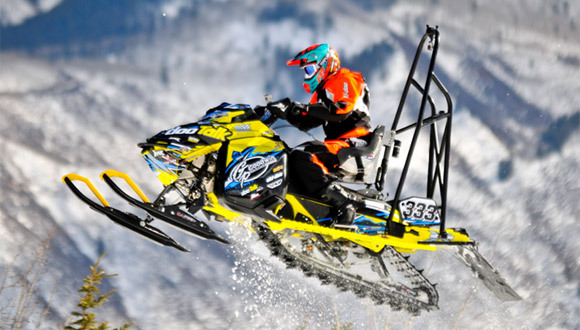 Read more about Support a Snocross Racer and You Could Win his Race Sled at Snowmobile.com.